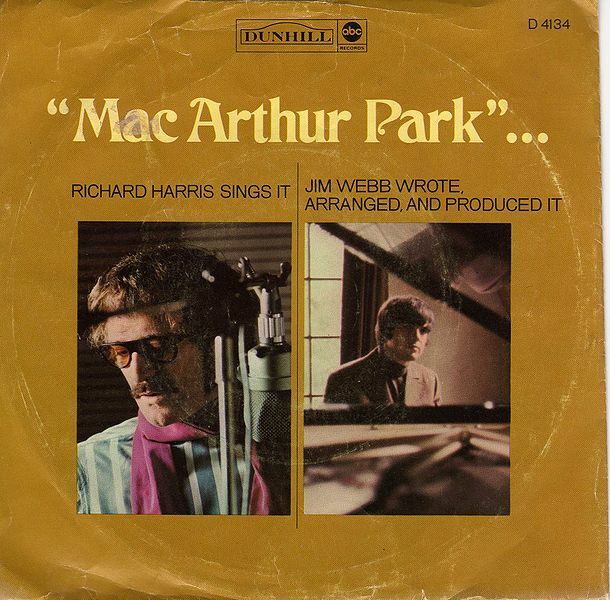 I heard Richard Harris, who was a real hell-raiser in his younger years, tell a story about MacArthur Park. When he recorded it, he made a bet with Webb that the song would be a dud, and he bet his Rolls Royce. When it hit number 1, he reportedly gave the car to Jimmy Webb.